Right, for Q2 I am going to put on the 14 unfinished items from Q1, plus add on the other things I have started in the mean time, which need to be done asap, so I should see some nice progress, and be able to tick a few things off the list (who doesn't love writing lists in order to tick things off them!?!). 1. 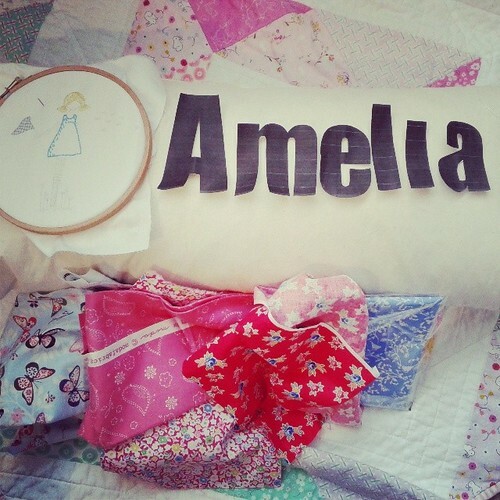 Christening Cushion for Amelia (needs finishing by Sunday, eek!). 2. 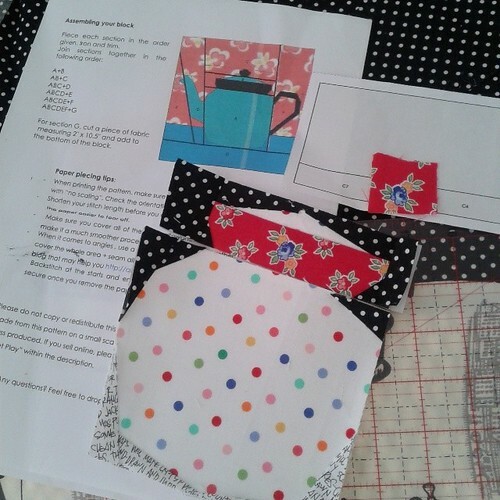 Potholders, or in this case, somewhere for my new kettle to sit and to protect my new kitchen worktop, using the fab Kristy at Quiet Play's paper piecing pattern for April, and these fabrics (including the £3 Bike Path as backing from Fabric Guild). I've put the ones I think are most likely to get done this quarter in Italics, but we'll see how things work out!! I'm very impressed that you get any sewing done with a new baby. Oh I reckon the new starters are easily going to get done, will you get any sewing time at the meeting tomorrow to get the christening present done? Well done on your Q1 win. Looking forward to seeing you complete these items on your list!